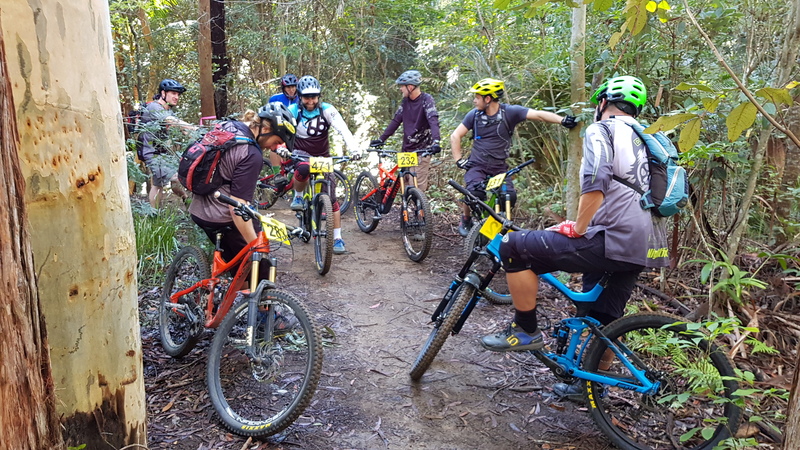 “Thanks HMBA for putting on such a great day of racing – I was all set for the 3 hour at Dungog and must say that I was a little disappointed when this was cancelled, although I do understand that if the trails aren’t up to it there is nothing that you can do. But not wanting to have another weekend without riding I decided to head out to Awaba and see how this ‘new format’ was going to work – and I am glad I did! Perfect weather, if not a little cold to start, made for a thoroughly enjoyable day – there was something ‘bizarre’ about riding parts of the trails in the wrong direction – yes, I have done some of them before during XC races but to ride ‘the wrong way’ through the middle trails at your own pace during transitions made it feel like a different place. I loved the Stage sections that you had put together, combining as much descending running as possible with the fun and flowy sections of the XC track thrown in as well – the trails were as technical as you wanted them to be based on your speed of attack, and there was nothing that was impossible for even the littlest of Riders – great to see all the youngsters out there giving it a go. I get that you need to have some climbs to gain elevation, and a bit of walking and pushing uphill was necessary to access the lower sections of the DH track, but given that you can do these transitions at your own pace and only really need to charge in the Stage sections (after an adequate rest I must add) all meant that you could just keep going for as long as you wanted – I managed 6 stage runs and left after about 2.5 hours – I’m sure others would have stayed well into the afternoon and smashed out more.